Today’s Leap Second Won’t Break the Internet. Probably. Just before midnight Tuesday, one tiny second will be added to the day. It’s not your imagination, for once. Tuesday really will be longer than Monday this week. The long-anticipated leap second arrives today, bringing with it a score of apocalyptic headlines about the havoc that this innocuous little addition could wreck on the world. A leap second is put in place whenever the world’s atomic clocks begin to get slightly out of sync with the Earth’s not-completely-regular rotation. Over time, the tiny misalignment of several milliseconds a day needs to be accounted for—and that adjustment comes in the form of an extra second added to Universal Coordinated Time every once in a while. The timekeepers of the world declared in January that the next leap second would come June 30. So just before midnight Tuesday, an extra second will be tacked onto the day. That means the last minute of the day will have 61 seconds. Adjustments like these to the atomic clock are not uncommon: In 1972, 10 extra seconds were added all at once, and 25 extra seconds have been added in the decades between then and now. 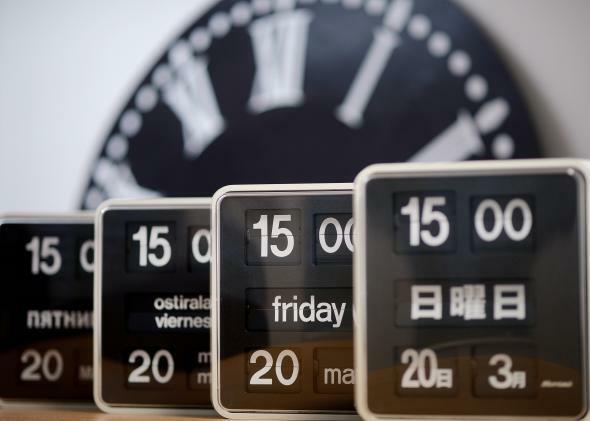 What momentary chaos will today’s leap second bring? With Greece poised to default on its bailout loan to the International Monetary Fund today, global financial markets might see major shake-ups, making it a very bad time for time to get messed up. To make matters more complicated, stock exchanges and computing systems aren’t all going to deal with the leap second in the same way—some clocks will pause for a second, some will take a tick backward, and others will dilute the leap second into milliseconds throughout the year—so interactions between different systems could easily fly out of sync. Some big companies like Google and Amazon are trying to avoid this extra wackiness by “smearing” the leap second, or exchanging it for unnoticeable extra milliseconds here and there after June 30. Stock exchanges in Australia, Singapore, South Korea, and Japan plan to do something similar. But systems across the world still vary. The good news is that whatever drama the leap second causes will only be temporary. Engineers will sort out all the technical problems in due time, and companies that struggle today will hopefully learn their lesson and plan ahead more carefully next time. Still, a certain amount of mayhem should be expected tonight no matter what. As a side note: June 30 has also been declared Asteroid Day by a team of prominent scientists and astronomers attempting to raise awareness about rocks close to Earth that are in danger of flinging themselves out of the sky and destroying parts of the planet. So, take your pick of apocalyptic anxieties today, and hope that we can all make it through to Wednesday.